Champagne connoisseur, I am not - but a fan of the bubbles, I am. The Tour de Champagne New York was held on Thursday, November 12, at the La Venue on 28th and 11th avenue. This multi city tour allowed guests to sample champagnes from more than 20 champagne houses, enjoy live music, taste bites from local restaurants and, best of all, vie for the chance to win a trip for two to Paris! The anticipation for the event turned my week leading up to the Tour de Champagne into one of my longest and most agonizing weeks ever! This past weekend was the 2009 Cook. Eat. Drink. Live. food extravaganza in New York City's Meatpacking District. From the wineries and mixologists to the restaurants and celebrity chefs, the three day festival was overflowing with an eclectic assortment of comfort foods and edible finery. After getting a week’s worth cravings satisfied in one afternoon, I was certainly a believer. Halloween in New York – home to the crazy and creative costumes, the over the top parties, and the infamous West Village parade – just got a little sweeter (literally) for me. That’s because this year I was finally able to attend the Annual New York Chocolate Show (I missed it every year when I lived in the City due to my crazy work hours). Held in the Metropolitan Pavilion, this three day affair showcased all things chocolate – as a raging chocoholic – I think I might have just died and gone to heaven! This past Saturday evening, the Ovations for the Cure organization hosted the Night of the Monarch Ball at the Westin Boston Waterfront. This event was held to conclude the National Ovarian Cancer Awareness Month, to honor Ovations’ founder – the late Patricia Franchi Flahtery, and to raise funds for continued ovarian cancer research. 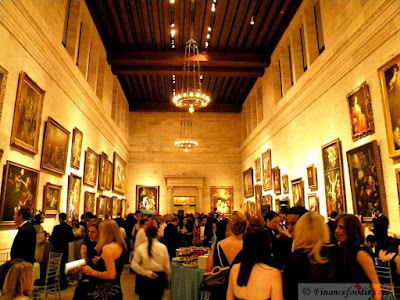 I had attended an Ovations event (Couture for Cancer) a few months back that was filled with yummy food, beautiful décor, and lovely fashions - so I was stoked to attend the much-buzzed about Monarch Ball. 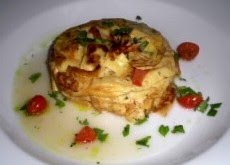 New restaurants in the city can be found on an everyday basis on any given corner. But in Harlem, not so much. Harlem has just recently been acquiring great buzz for its new shops, restaurants and nightlife. As someone who has lived in Harlem for over 4 years now and love its historic, charming, community vibe; good places to eat was one thing it was lacking. So of course I was astonished when the only good pizza joint close to me closed down last year. 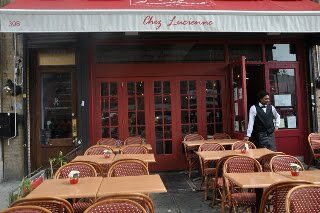 But, low and behold, several months later I see a cute little restaurant had taken over its place: Chez Lucienne. So another Fashion Week in New York as come and gone. 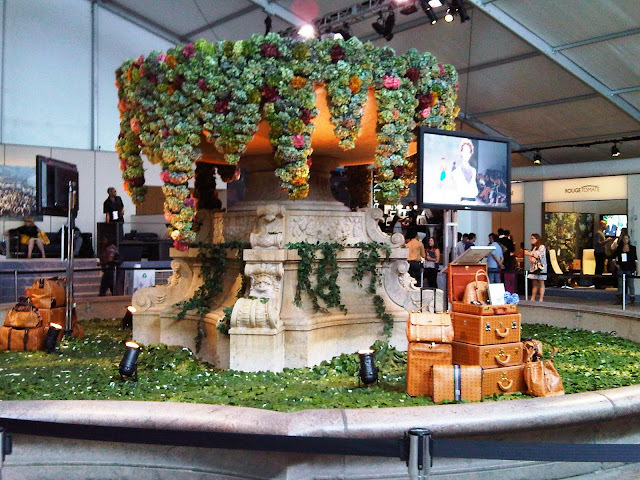 The frenzied fashionistas have returned home and Bryant Park is calm and serene once again. As I think back to some of the shows I attended last week, I can’t help but think about how the Spring/Summer 2010 runways can be translated to work, eat, and play life in Boston. Below are some ideas for outfits that will ensure that all eyes are on you wherever you go. Bryant Park’s usual state as quiet and peaceful place to watch the birds and catch up with friends has again been invaded by the frenzied fashionistas and flashing lights of the photo hungry paparazzi. This only means one thing: another New York Fashion Week is in full swing! Well, the countdown to New York Fashion Week is almost over--it starts on September 10th and so the diet is in full title boogie. It's time for Slim Fast and the occasional sauteed or steamed veggie at a quickie Chinese 'hood hang. 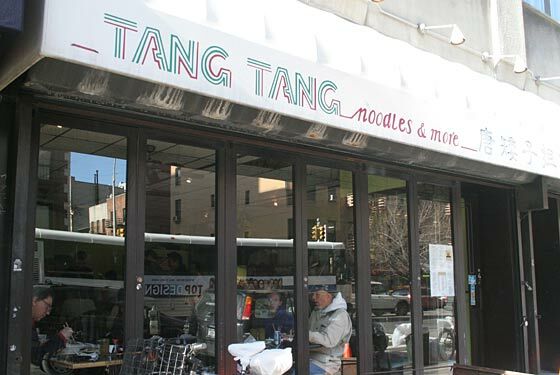 I went to Tang's Garden (formerly Tang Tang before being closed by the Board Of Health last year) and ordered "long beans" sauteed with just one tablespoon of peanut oil. The waiter looked at me if I was nuts when I specified the amount of oil I wanted, but hey, this is New York and attitude is a little more acceptable here, than say, Mayberry RFD. Even though I've eaten my way through many a critically acclaimed and wallet unfriendly restaurants, there are some nights where I love to just curl up on my couch, slip on some aesthetically unfriendly sweatpants, and watch some trashy reality show. 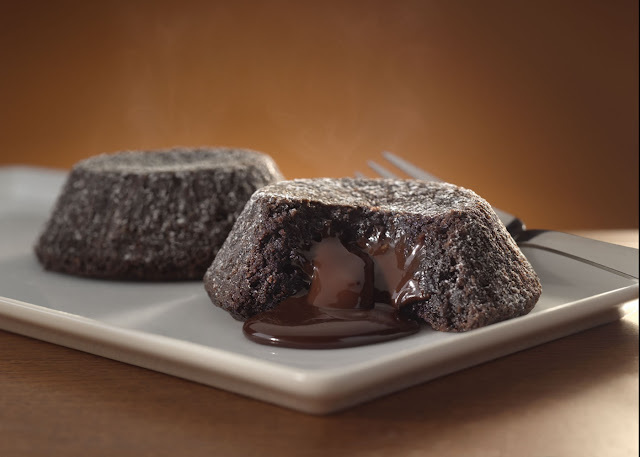 Just the other night when I was watching Tool Academy 2 (please don't judge me), I saw an ad for Domino's Pizza offering a FREE Chocolate Lava Crunch Cake with every purchase of a Pasta Bread Bowl. 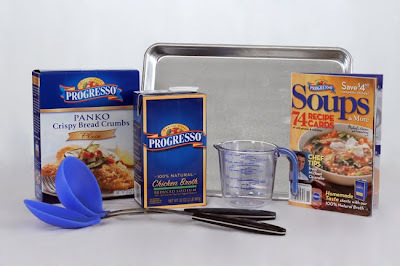 For those of you who don't know, the pasta bread bowl is basically Domino's newest line of single-meal pasta portions of chicken alfredo, primavera, mac and cheese, Italian sausage marinara, and chicken carbonara pastas, baked into edible bowls. 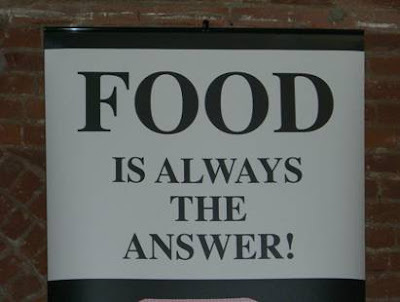 In other words, carb-o-holic heaven! Congratulations #63 #40 and #44- purango, sharonjo, and Storm! I received a follow up email from the folks at MyBlogSpark shortly after posting my review on the Yoplait Whips and the Wanchai Ferry frozen meals. Apparently, they were disappointed to hear that the Whips were not to my liking for breakfast, so they remediated this situation by sending me a 4-pack of Yoplait’s new (breakfast appropriate) Fiber One yogurts. Once again, I pushed aside my attempt at learning to cook and agreed (not unhappily) to be the guinea pig for this project. Congratulations #8 and #63 - Tricia and K.Rock! *In case of the same request from both winners, the one who emails me first with their contact info will claim that prize, the other winner will receive the alternative prize pack. You have three days (72 hours) to contact me before you forfeit your prize to an alternate winner. As many of you know, I love testing new foods and am a huge sucker for cool food products at the grocery store. So I was pretty pumped when the folks at MyBlogSpark offered to sponsor my breakfast and lunch for the day with a few new products that were being introduced to the market. Although this was a detour in my (somewhat futile attempt at) learning to cook, I was excited to see what was in store for me! For breakfast, I was sent a gift pack with two cups of Yoplait Whips (Yoplait’s new line of fluffy whipped yogurt), a travel cooler, Popsicle molds (? ), and a set of 12 color-changing spoons. I was a bit confused on why I received the Popsicle molds but then realized I could freeze the Yoplait Whips in the molds to make a yogurt crème pop! 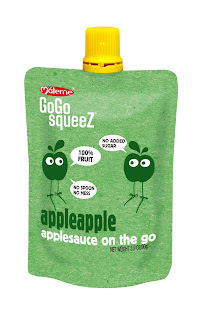 Although I thought the Whips were way too sweet for breakfast, I could see myself enjoying these cups (or pops) as a yummy and healthy snack on a hot summer day. Hey there, Finance Foodie readers! I just finished a REALLY comprehensive cupcake tour and wanted to tell you guys all about it! I held it on August 1st, in my apartment with my brother, David. How do you do a comprehensive cupcake review, do you wonder? Well, you call all of the bakeries in NYC that sell cupcakes (I counted 25), ask them to donate cupcakes, and have your friends pick them up to review them! We had 25 bakeries (out of the 25 bakeries, only 3 didn't donate!) and I also made Sprinkles Cupcakes (the bakery that is only on the west coast at the moment). Each bakery donated a vanilla, chocolate, red velvet, and wildcard cupcake. We did a blind tasting of the cupcakes so the tasting would be fair, and everyone had a really good time figuring out where the best cupcakes in NYC came from. You might be surprised with some of the results! Last Tuesday, I attended the Taste of Park Plaza at the Boston Park Plaza Hotel. This event was held to support the Great Boston Food Bank, one of my favorite non profits in Boston (because food = good, charity=good, charity that helps end hunger=awesome) and of course, for Boston foodies to sample some delicious treats from local restaurants. Tony Fantastico greeted us as we walked into Ancora, and yes, that’s his real name. He’s not the host, not a waiter or staff, but instead one of the owners of the restaurant. Every night either he or Elio Albanese is here making customers feel welcome and attended to. The effect isn’t immediately apparently, but as the meal unfolded we’d soon discover that, like the owners, Ancora adheres to more than just passion for great food, but a zealous attentiveness to the ageless and unhurried ritual of eating well. 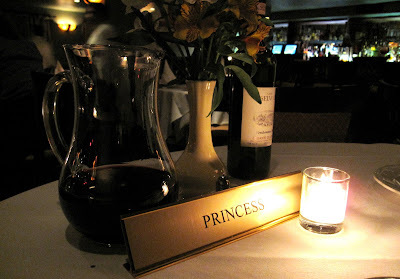 It started with the table; dining with a lady, we found a name plate inscribed “Princess” placed next to her table setting. Unsurprisingly, this touch was a crowd pleaser, and apparently Ancora regulars even have their own personal nameplates. That same spirit of inclusiveness and winking sense of humor would be the continuous thread of the evening. Now as many of you know, I am a terrible cook. During the few occasions where I attempted to cook, the only things I managed to make were small fires and large messes. Luckily (or maybe strangely), I find it rather calming to clean up these messes – in fact, nothing makes me happier than seeing a sparkling countertop and cupboard full of neatly stacked shiny dishes and pans (I’m going to make a great wife one day, minus the not cooking part)! 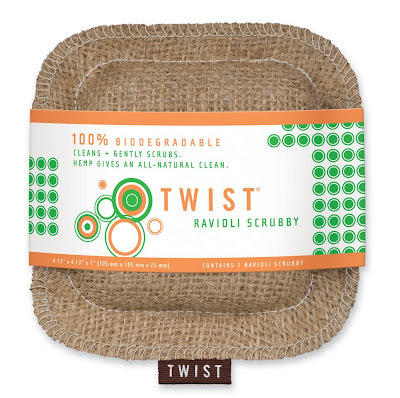 Since I am a sucker for cool kitchen cleaning aids, imaging my excitement when I discovered the Ravioli Scrubby from TWIST! A kitchen sponge made to look like food…how ironically awesome! This hemp burlap pouch is filled with a biodegradable sponge and it does an awesome job in clearing off baked on (or in my case, burnt) food. And it’s an eco-friendly product – tough on stains but friendly to the Earth. I later found out at my local Whole Foods that TWIST makes a whole slew of food inspired cleaning products (i.e. Dish Dumpling, Sponge Cake, etc.)…witty! The products are a bit more expensive than your generic sponge from Wal-Mart, but well worth the investment (plus they are just so darn cute!). CONGRATS to #3 and #32, Shirley and Stoner!!!! Please email me at financefoodie [at] gmail [dot] com with your contact info and address so I can send you your prize! Going to dinner with a bunch of food bloggers can be quite an experience. Aside from all of the cameras flashing and the scribbling sounds of bloggers’ jotting down their notes in between each bite, I’d say this is a great way to dine in Boston. Chris Lyons of Chris Lyons Communications, organized last week’s Bloggers Dinner at Tavolo Ristorante in Dorchester. With 25 years in the PR business, Lyons has found that hosting these dinners for foodies is a win-win situation for both bloggers and restaurant owners. A stream of jazzy notes and raspy lyrics float up to my ears as I approach the One Kendall Square Music Lab last Wednesday. The band, 3rd Left, is the featured entertainment for the evening. Hailing from Plymouth, MA, the rock and jazz inspired four-man ensemble creates the perfect mood for an evening of food, drinks, and mingling. As I walked up to the door of Delmonico’s I couldn’t help humming the opening theme to Wall-E.
“We’ll see the shows, at Delmonico’s, and we’ll close the town in a whirl!” Turns out, it’s no coincidence, Delmonico’s is the oldest fine dining restaurant in America and has been open since 1837, more than enough time to earn its honorific place in some song lyrics. But we’re not here for nostalgia, we’re here to be fed. The Fancy Food Show at the Javits Convention Center is massive, filled to the brim with hundreds of thousands of products from all over the world. It was so exciting, I didn't know where to begin! After drinking a little too much Australian wine, I "stumbled" into the amazing Chocolove booth. 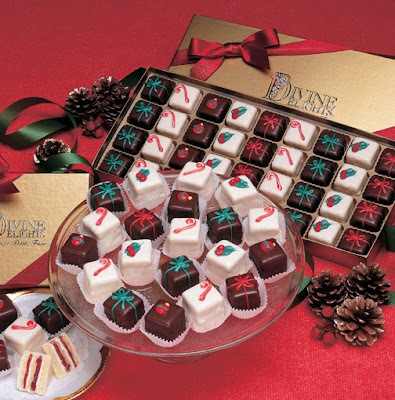 Ooh chocolate and wine! How much better can it get? Besides the chocolate being yummy goodness, each of the wrappers included a different poem inscribed by a famous poet. 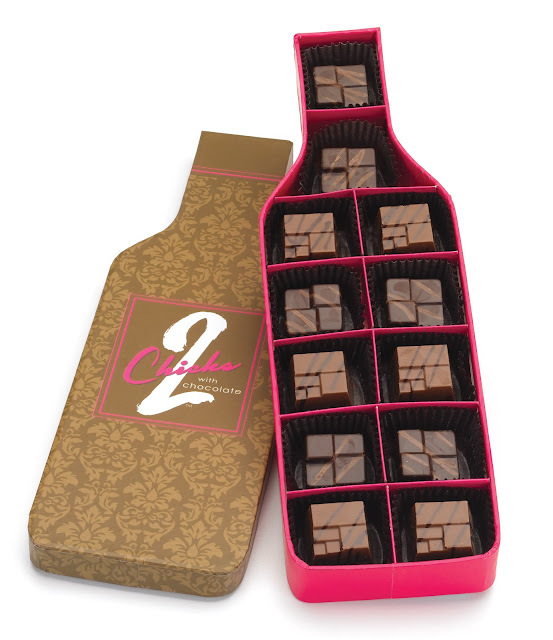 What a great gift to your sweety pie! Now, sticking to the wine and chocolate theme, I cannot think of a better way to enjoy vanilla ice cream than to top it off with champagne mint chocolate sauce! Whoever came up with this is genius! For more highlights, check out my guest post about the Fancy Food Show on Grace's blog, GraceNotesNYC! The Finance Foodie knows that in this tough economy, every dollar (or in this case $4.00) counts. Therefore, for this installment of my "Fiscally Fun Freebies"
Free 12 oz Drink at any Borders' Seattle's Best Cafe! 5:50pm: Arrive at O Ya, 10 minutes early for our 6pm reservation. Decide to wander around the neighborhood for bit. Stop by the bookstore nearby hoping to catch up on the latest gossip from . No luck, but the rainbow flag displayed prominently outside the door should have tipped me off that this wasn’t your local Borders. 5:55pm: Walk inside the restaurant. Notice that O Ya is really tiny and seats about 30 people max. Also, the place was already half full. Bostonians eat really early compared to New Yorkers! 6:00pm: We sit at the “chef’s table”, so we get to watch the sushi chefs prepare each dish. How entertaining! Also, noticed I am completely overdressed in pearls and heels compared to the rest of the patrons. Was told later that O Ya’s dress code is “come as you are”. So that explains all the jeans and basketball shorts (!) I saw. 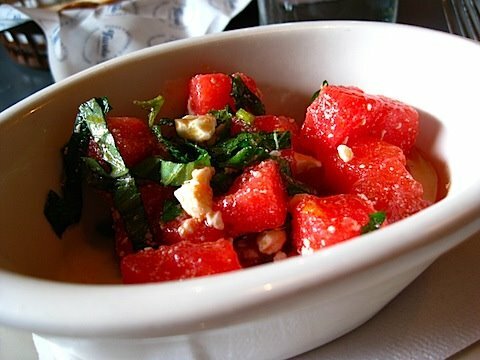 6:30pm: The plates at O Ya are served tapas style, which means small plates at entrée prices. First dish of sushi is out: salmon with unfiltered wheat soy moromi and yuzu. Very flavorful but nothing too special. Some of my friends may say that I’m a creature of habit—and by some, I mean most, and by most I clearly mean all. Either way, last night I surely shed my predictability and shocked them with my impromptu trip to Southern Italy after work—and by Italy, I mean Needham, and by Needham, I mean the all new Spiga Trattoria Italiana. With a well-seasoned chef, a fresh menu and an inspired décor, the new Spiga with its old name treated my taste buds and me to a fabulous evening of food and drink. We began the evening with a toast, our glasses filled with a crisp pinot grigio, and some homemade foccacia and cannellini bean “hummus.” In retrospect, the delicate bread and smooth, garlicky bean paste were omens of good things to come.The table decided to order antipasti, primi and secondi family style and I can’t lie—I was a little scared. I have this problem come 6pm where I become hangry—or the perfect combination of hungry and angry—and I cry like a three year old if I don’t get what I want to eat or enough of it. However, in a way I never could have predicted, Chef Iocco’s creations and their layers of flavor and genius ingredient combinations, quelled even my body’s most torrid attempts at becoming hangry. Her insalata of octopus was a mix of tender baby octopus atop a bed of shaved celery and potato sticks, all drizzled with the faintest reminder of a lemony olive oil. 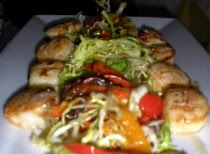 An array of sea scallops came next, accompanied by sweet red and yellow peppers that truly lived up to their sugary name, and then a plate of buttery shrimp, which leaned against a creamy mountain of avocado and farro. 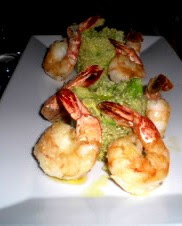 Somehow, the coating-less shrimp maintained an all-natural crunch, and they were piqued with a tart hint of citrus. Chef Iocco and her endearing family of wait staff then brought us free-form scallop lasagna and hand-made pappardelle Bolognese. Persnickety eater that I am, the Bolognese aspect of the Bolognese didn’t tempt me, but I made a dent in the delicate broth-bathed layers of crepe that formed the cheese-less lasagna. The flavor was light and oceanic, with its minimal flavor still somehow allowing for maximum satisfaction. 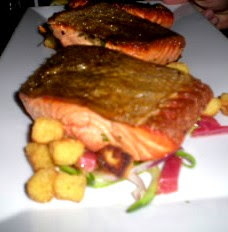 In this blogger’s opinion, seafood swam into the spotlight at Spiga. 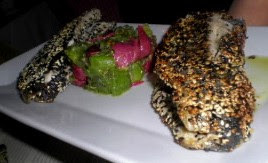 The black and white sesame seeds encrusting the flaky filet of trout were countered with a colorful kiwi and striped beet salad. It was crunchy—yet tender—and it was sweet—yet aromatic—but somehow the flavors didn’t fight. To accompany our main dishes, Chris requested Chef Iocco bring out her inventive tray of parmigiano Oreo cookies, or thin tuile’s of melted parmigiano cheese bookending a pillowy cloud of rich mashed potatoes. Thick cuts of sockeye salmon arrived from the kitchen perfectly seasoned with a one-two punch of fresh herbs. 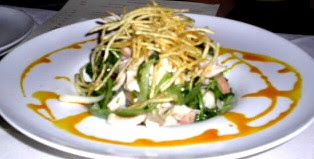 Chef Iocco shredded zucchini and red onions into shoestrings and kissed the spongy “noodles” with a roasted garlic ragu. I pretty much hoarded the plate of salmon—my bad—because I just couldn’t get enough of the veggie pasta that cradled the coral fish. Although our table of bloggers requested that we eat dessert first (my type of eaters! ), we followed directions and saved the sweets for last. The chef’s streamlined trio of chocolate delights was comprised of a gentle and rich cocoa gelato resting on a platform of silken chocolate flan and a dense, hazelnut cake dipped in a bittersweet chocolate cloak. 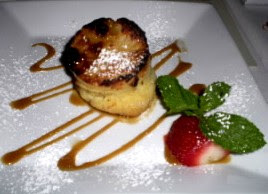 The final scoop of my spoon was into Chef Iocco’s signature vanilla bread pudding. A simple dessert with complex flavors, this baked beauty was soft on the inside and toasty on the outside, compliments of removing the brioche’s crusts. A drizzle of vanilla caramel and garnish of minted strawberries topped off both the bread pudding and my belly’s ability to indulge any further. Today’s Spiga is definitely off the beaten path in Needham, but with a menu as varied and interesting as Chef Iocco’s, choosing the road less traveled is the tastiest decision you’ll ever make.